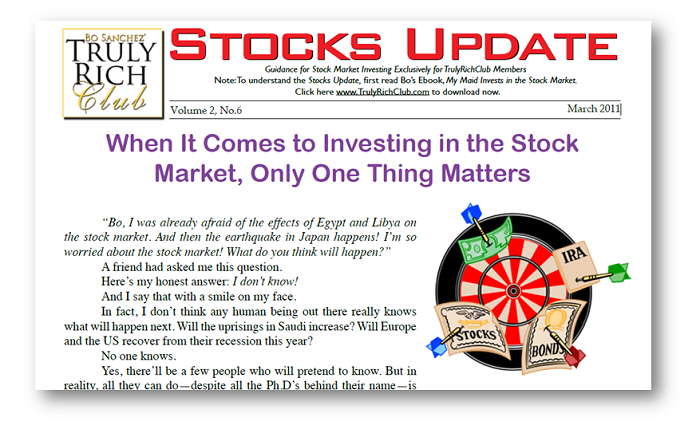 “Bo, I was already afraid of the effects of Egypt and Libya on the stock market. And then the earthquake in Japan happens! I’m so worried about the stock market! What do you think will happen?” A friend had asked me this question. Here’s my honest answer: I don’t know! And I say that with a smile on my face. In fact, I don’t think any human being out there really knows what will happen next. Will the uprisings in Saudi increase? Will Europe and the US recover from their recession this year? No one knows. Yes, there’ll be a few people who will pretend to know. But in reality, all they can do—despite all the Ph.D’s behind their name—is guess. If you were a trader, you should be worried that no one knows. In fact, you should be so nervous, you’d be pulling out all your money from the stock market and digging your head in the sand. After 10 or 20 years of putting your small amounts of money each month into our recommended giant companies, I repeat: There’s really only one thing that should influence your buying or selling of stocks. And that one thing is what you’re going to look at, crisis or no crisis, tsunami or no tsunami, meltdown or no meltdown. You see, traders look at a thousand factors. They look at the political situation in the Middle East, calamities in Japan, oil prices going up or down, US dollar depreciation, China’s economic growth, President’s Aquino’s love life… Okay, that last item is a joke. (But who knows? Traders look at everything.) But investors? They simply look at one thing alone. What is that? Company earnings. Period. 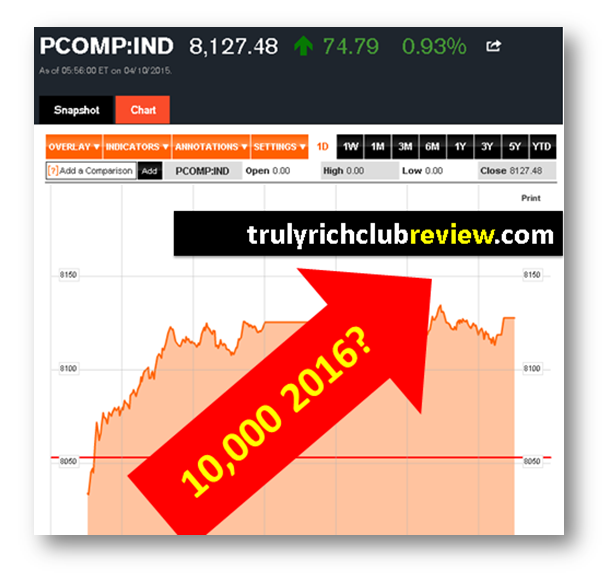 Interested about Stock Market in the Philippines? He're the latest news, PSEi ended the week at 8,127.48, up by 74.79 points or 0.93% this Friday. 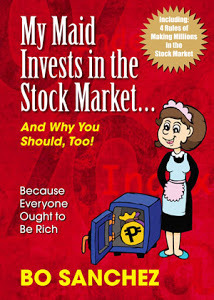 "The Philippine Stock Exchange index (PSEi) ended the week at 8,127.48, up by 74.79 points or 0.93% on Friday. The all-shares index gained 25.28 points or 0.55% to 4,635.38. Gainers edged out losers 101 to 85, while 45 issues were unchanged. On Wednesday, the PSEi broke its seven-day rally on profit taking, dropping 45.99 points or 0.57% to close at 8,052.69. The all-shares index also lost 18.69 points or 0.40% to settle at 4,610.10." the previous session as investors cut risk holdings ahead of a long market holiday. Philippine composite index, which measures moves of 30 large caps, ended up 0.93 percent at 8,127.48, above the 8,098.68 record close hit on April 7. It was up 1.7 percent on the week, among Southeast Asia's outperformers. Manila. Ayala Land, Metropolitan Bank & Trust and SM Prime Holdings were actively traded. In Bangkok, shares moved in a tight range, with the key SET index ending 0.2 percent lower. Profit-taking hit banking shares, led by a 0.8 percent fall in Krung Thai Bank after a 1.3 percent rise on Thursday. The Thai stock market will be closed from April 13-15 to celebrate the country's new year while banks will kick off a quarterly reporting season from late next week. Ho Chi Minh 554.03 550.52 +0.64"